Although Uncharted 4 looks fantastic, Naughty Dog has a lot of work ahead if they want to achieve the quality seen in the E3 teaser. Naughty Dog is one of Sony’s leading first party studios. Although the company has been around for a long time, Naughty Dog shot to an almost unbelievable level of fame when they revealed an intriguing demo of Uncharted 2: Among Thieves during E3 2009. Among Thieves turned out to be one best Uncharted games if not the best game available back then on the PlayStation 3. When you think back, it’s quite remarkable to see what Naughty Dog achieved with the PlayStation 3 so it’s obvious that they will be able to do more with a hardware that has a decent amount of horsepower. 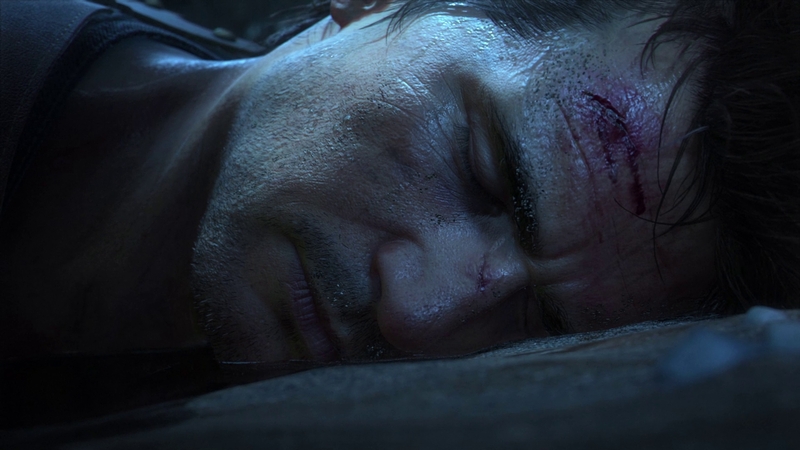 Our first look at Uncharted 4: A Thief’s End came in the form of a short teaser shown during E3 2014. The short footage created a controversy across gaming boards and forums with many claiming it was not running in real time on the PlayStation 4. However, GamingBolt were able to confirm with Naughty Dog that the trailer was indeed running in real time and was a part of an in-game level. The footage showcased incredible anti-aliasing and one of the best simulation of hair we have seen in a video game. However all of those features have not made the transition into the gameplay video that was released yesterday. After analyzing the footage for several hours, we observed that Drake has a rather low quality shadow. It seems that shadow quality are becoming a resource nuisance for some game developers, something which we saw in the case of Assassin’s Creed Unity. Another feature missing is tesselation. It’s puzzling to us that both the PS4 and Xbox One are DX11 capable and yet, it is not being implemented in modern games. Several objects such as tree bark and stones have no tessellation whatsoever. The anti-aliasing also does seem to match the quality we saw in the reveal trailer. It seems that the demo was using post processing anti-aliasing and we saw a few instances of jaggies here and there. The PlayStation 4 is completely capable of rendering 4 X MSAA, something which we have seen utilized in The Order: 1886, so it will be interesting to see whether the final game will have an expensive anti-aliasing solution. The almost flawless hair rendering from the reveal trailer seems to be missing here. We understand that hair rendering is one of the most resource intensive process out there but we have already seen Assassin’s Creed Unity utilize some advanced techniques in this regard. Another thing that baffled us was some of the ground textures looked bland like they were lifted directly from the previous games. We understand that this is a minor thing but in our opinion, all such little things add to the experience. Despite a few shortcomings, we observed interesting graphical additions in Uncharted 4: A Thieves End. The game is utilizing an ambient occlusion solution which seems to be closer to HBAO, resulting into a smoother picture quality and shadow effects [this is not to be confused with the quality of the shadows]. The gameplay took place in a mountainous area which was densely populated by flora and fauna which made sure the environment looked and felt lively. We saw usage of Global Illumination in several areas, resulting into spectacular lighting effects and perfect light bounces on surfaces. From the footage it’s clear that the game is using an advanced level of animation techniques, giving rise to almost CG level character models. We are very excited to see that more and more games are now utilizing advanced global illumination and physical based rendering techniques, so hopefully this will become a norm in the development industry. We also observed terrain deformation during some scenes and surface scratching when Drake survived a fall while climbing. Whether these are dynamic elements is something that remains to be seen, however the technology seems to be similar to the ones we saw in the case of snow and sand in Uncharted 2 and Uncharted 3 respectively. During shooting we saw heavy usage of motion blur and depth of field giving the game a cinematic feel and look. All of this comes together with the fantastic draw distance and art style. The demonstration ran at 1080 at a stable 30 frames per second. We witnessed no visible stuttering or frame rate drops in our analysis, suggesting that Naughty Dog are prioritizing performance over 60 frames per second. They are indeed targeting 60 frames per second but given the scale, we doubt that will happen. However it must be noted that other first party games such as inFamous: Second Son employed an unlocked frame rate but since the game was fast paced, it actually benefited the title rather than the opposite. 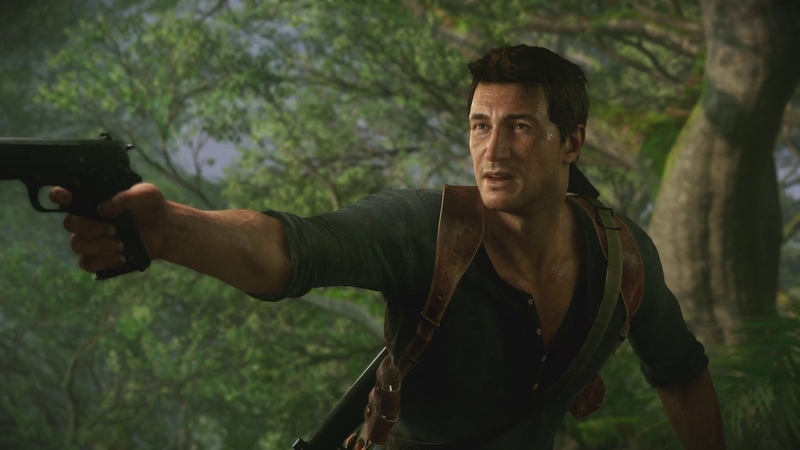 In case of Uncharted, a game which jumps between slow and fast set pieces, an unlocked frame rate simply won’t work. We’d rather see Naughty Dog go for a solid 1080p and 30 fps with all effects turned up as high as possible. In the end, it must be noted that the game is in pre-alpha so the gameplay video was in no way the final representation of Uncharted 4. But we are disappointed that the image quality does not quite match up with the one we saw during E3 2014. The almost flawless anti-aliasing and hair rendering is completely missing in the latest build which makes us wonder whether there is going to be a difference in the way cutscene and the actual gameplay are going to be rendered in the game. 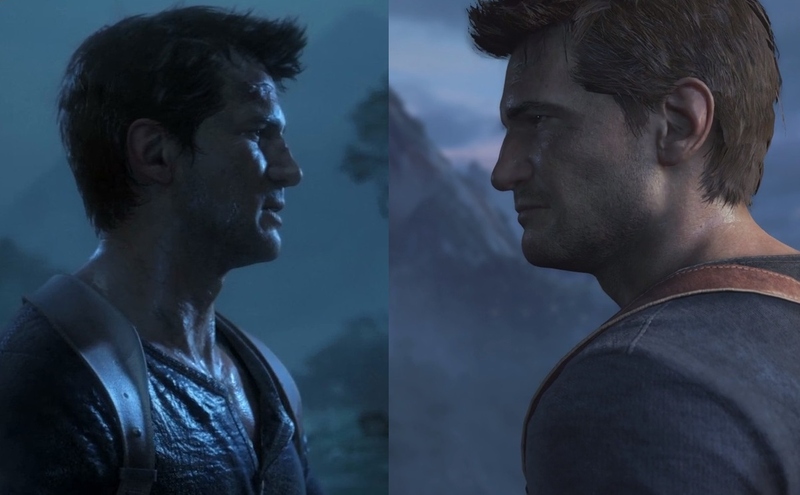 We saw a similar case in The Last of Us on the PlayStation 3, wherein the quality would shot up when a cut scene kicked in and it seems like Naughty Dog will be going for a similar solution in Uncharted 4. The game is currently deep into development so there is a lot of work ahead for Naughty Dog. Performance wise, the game seems to be hitting the right zones and it looks spectacular already, but whether they will be able to achieve the quality seen in the E3 teaser is something we have to wait and watch.